This recipe is not rocket science, I mean its a sandwich. 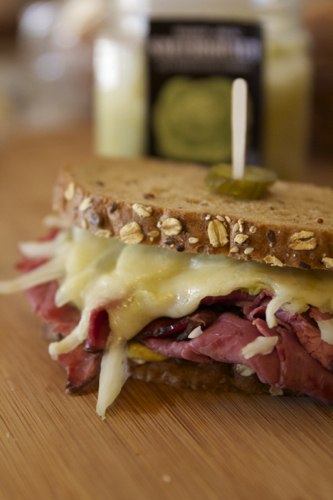 There’s not much to a sandwich but a Reuben sandwich, you gotta make it right! I was shopping at TJ’s today and I was walking down the aisles looking for something new, like I always do. I get so excited when I see new items come into the store! Trader Joe’s prides itself on the items they sell and you know that when something comes in, it has passed all the tests and is worth trying! 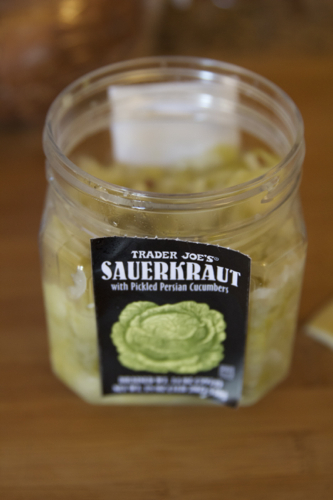 Anyways as I walking, I spotted one of their new items, Sauerkraut. Ok, nothing crazy but then I continued to read, “with Persian Pickles” —- ok now I need to try this. Since my families background comes from Iran, a lot of what I cook are of Persian flavors. Plus when was the last time you saw anything that has Persian Pickles in there!? 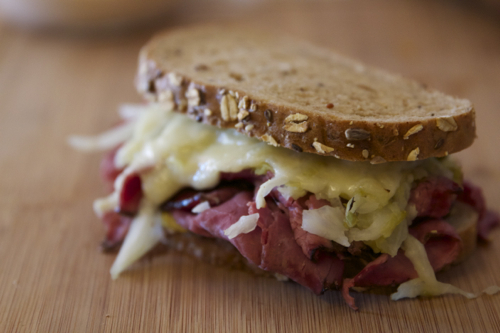 Now back to my story, I picked up the Sauerkraut and decided to make a Reuben sandwich. I bought all the ingredients and came home, made a sandwich for my brother and I have to say it was delicious!! I even made mine into a quesadilla, but that’s a different recipe in the future. My brother prefers mustard so I used that for him. 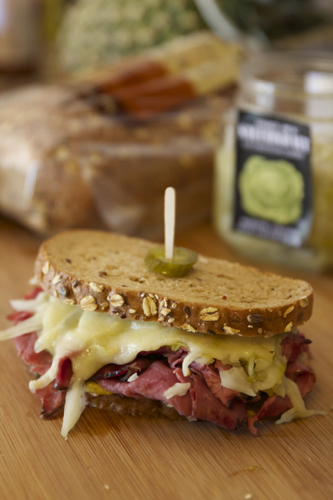 There’s nothing like a Reuben when you need a break! The Reuben, with Persian Pickles! 1. 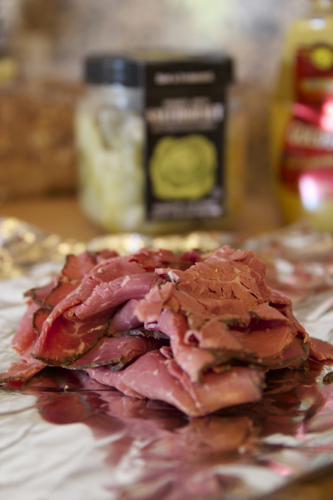 Take a piece of foil and place 4 slices of Pastrami on it and top it with 1/3 cup of Sauerkraut. 2. Place the foil with the fillings in a toaster oven and toast it till it is warmed through. 3. Make some room in the toaster oven and place the two slices of toast inside for it start warming up. 4. Add a slice of swiss cheese on top and toast it one more time until it melts. 5. Remove the toast and pastrami. 6. Add a tbsp of Mustard or Thousand Island to one side of the toast. 7. 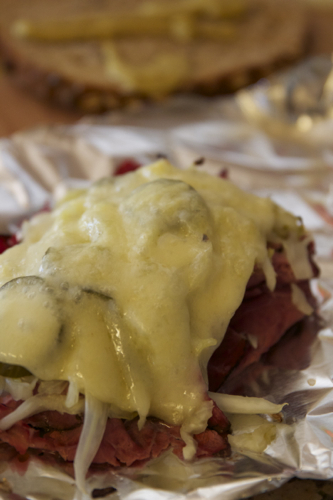 Place the warm Pastrami filling on top. 8. Finish off the sandwich by placing the second slice of toast on top.